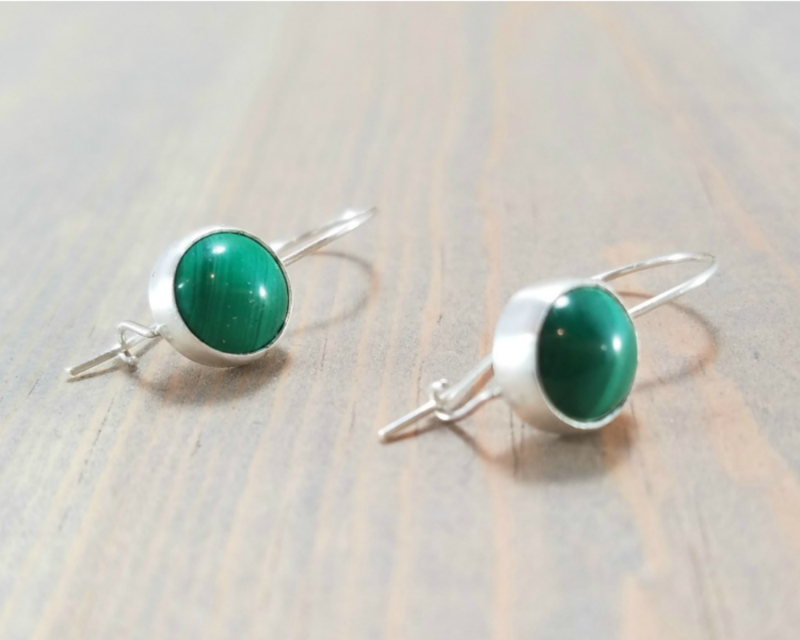 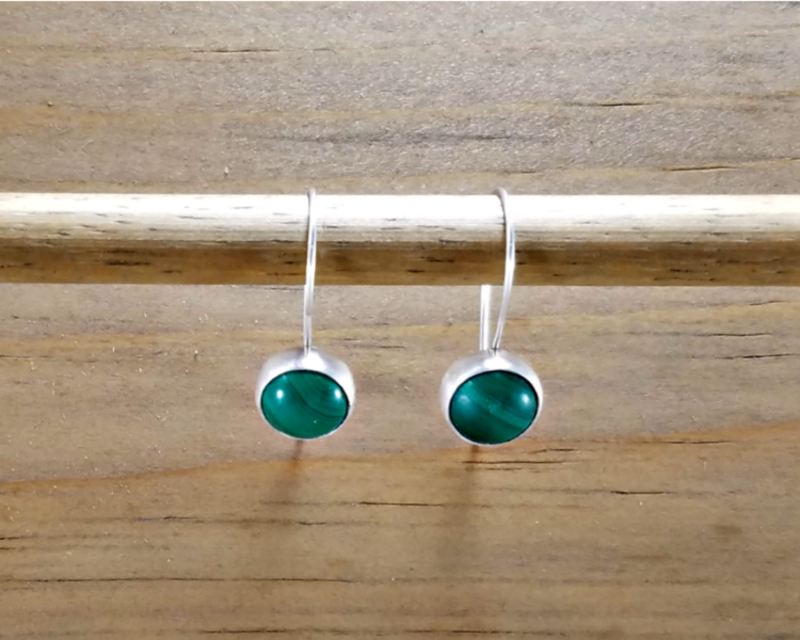 Handmade natural green malachite earrings set in sterling silver. 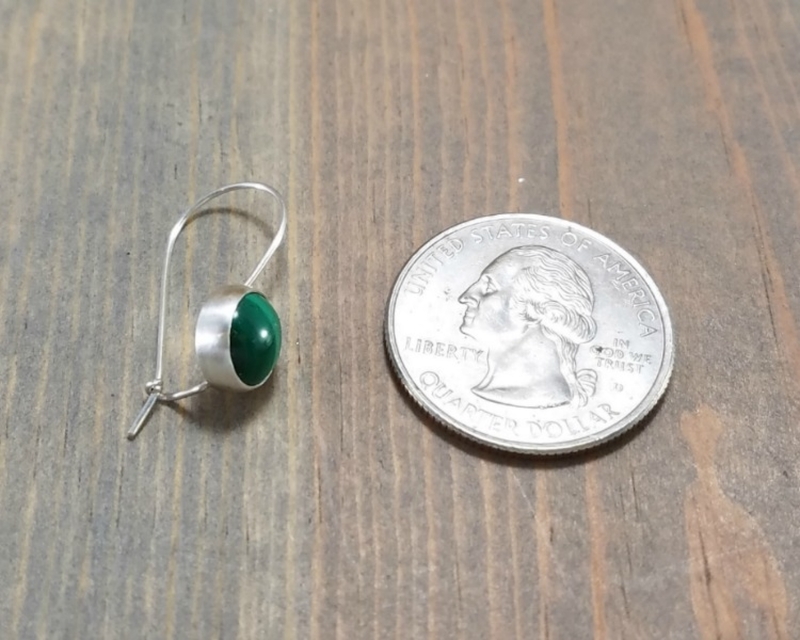 This locking earwire style is very with a thin sterling silver ear wire is lightweight and comfortable to wear everyday. 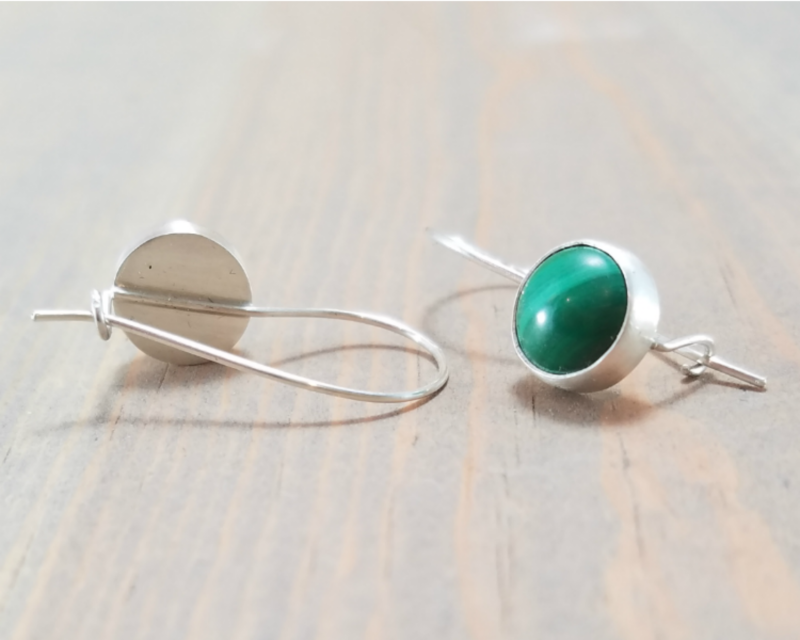 Each pair of earrings is individually hand made so dimension vary slight. 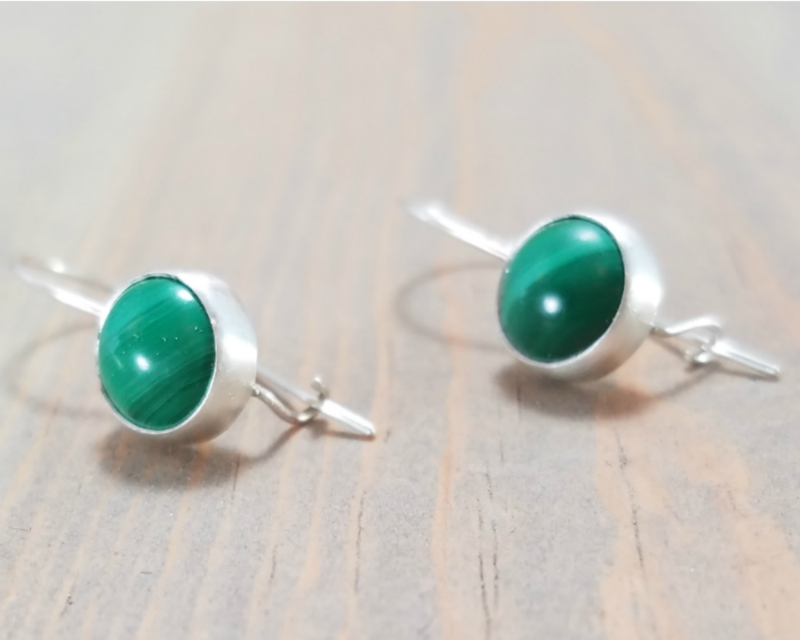 Also, all malachite stones have a lot of variation so the striations and striping will be different on all stones, but I always match each pair to get the most complementary set.